The fully co-optastic demo for Diablo 3 is now available via Xbox Live (for the 360) and PSN (for the PS3). Two of the five classes (Barbarian and Wizard) are playable in the demo which supports up to four players in either local, online, or mixed play. The demo runs up to the Skeleton King boss, which is quite a substantial amount of gameplay (probably a couple hours), explaining the fairly hefty download of about 1.2GB. Furthermore, saves from the demo can be carried over to the full game if purchased. 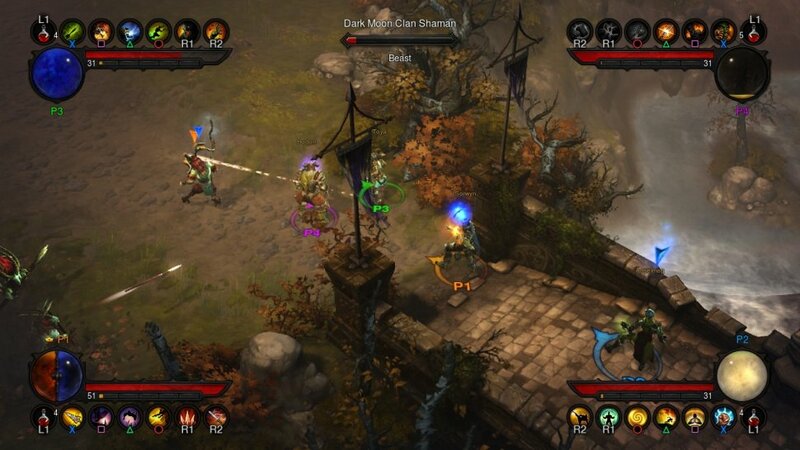 Diablo 3 for the PS3 and 360 released last Tuesday, September 3rd with 4-player local, online, and combo co-op. Expect our full review of the console version tomorrow morning as well as a co-op FAQ. Diablo 3 in the "Home Stretch"
Blizzard Hiring for Diablo-ish Console Game?